GE appliances provide up-to-date technology and exceptional quality to simplify the way you live. 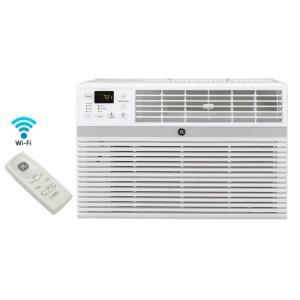 This 12,000 BTU 115-Volt room air conditioner works with GE Appliances new Comfort App which will allow you to monitor and control your new connected air conditioners. With the unit on, you have monitoring, scheduling and control to keep your home as cool as youd like. Fits windows 26 in - 41 in. wide, minimum height 18-1/2 in. does this unit have an energy star rating? I think that just times out/powers off. When I want to see the settings, I just press mode and the LED display appears. I read in the &quot;troubleshooting&quot; area of the manual that's normal. If you're hearing popping or snapping sounds, the manual says tha'ts how the processor works in high humidity or something. 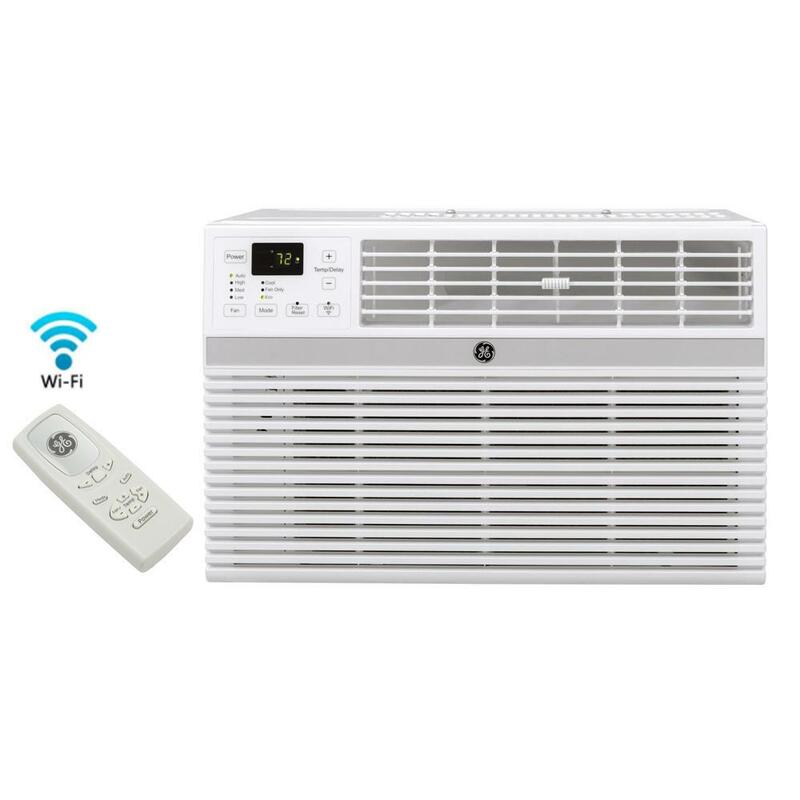 12,000 BTU Energy Star Window Smart Room Air Conditioner with WiFi and Remote is rated 4.4 out of 5 by 280. Rated 5 out of 5 by Snappo from Reliable and Quiet Good AC... RELIABLE and Quiet... cools room very nicely! Rated 4 out of 5 by Anon from Know what you need for the space Window AC units generally do not have good air distribution, a 8000Btu/hr and 12000Btu/hr will give you around the same amount of cooling for a small space, unless you have a big open space. It really depends on how much air can be supplied to each space. So if your apartment have many walls dividing spaces, for example bedroom and living room have it's own space and the AC unit is located in the living space, the cool conditioned air from the AC will not get into the bedroom. If you decided to lower the temperature and increase the fan speed of the AC unit in the living room thinking that you can cool the entire space, the bedroom still won't get the cold air but it will only leave the living room freezing cold, because of the AC unit has poor air distribution. The solution to this is to buy two small units just enough for the SF of the room, and only turn on the one that you need. You don't only save energy, you also save some money from buying a big AC unit which is not efficient for divided spaces. Rated 5 out of 5 by lhklak19661961 from Works great all down stairs is nice and cool and... Works great all down stairs is nice and cool and it doesn't take long either. Love it . Very happy!!!! Rated 5 out of 5 by Sallyandino from Air Conditioner Very nice product. I love it and recommended to all my friends and familly. Rated 4 out of 5 by HasmukhPatel from Good easy to install and working well and solve the... Good easy to install and working well and solve the problem.